Like many people around the world, I have been following the story of the Thai soccer team and their coach, who were trapped in a flooded cave for more than two weeks. The rescue was very challenging, and it was by no means clear that the rescuers would succeed. Tragically, while participating in the rescue action, one former Thai Navy SEAL lost his life. The rescue efforts were truly heroic, and the marshaling of expertise and support from so many countries was remarkable. In reading the latest news, however, I was struck by a headline on www.cnn.com: “Father of youngest Thai boy in cave rescue never lost hope.” That may be true, but what produced the miraculous ending was not hope, but faith. It’s no surprise--and no coincidence--that this rescue took place on the heels of two Gospel readings about faith. In last Sunday’s reading, we heard how Jesus visited his hometown but was unable to perform any miracles because the people did not have faith (Mark 6:5-6). The Sunday before, we read about a woman whose faith alone allowed her to heal instantly from twelve years of suffering. In that case, Jesus did not even touch the woman; she merely reached out and touched his cloak and was healed. “My daughter, your faith has made you well,” said Jesus (Mark 5:25-34). Throughout our human existence, we are frequently confronted with heartbreak, loss, and disappointment. During these times, it can be extraordinarily difficult to maintain faith, especially when a situation seems hopeless. Through His words in the Gospel and through actions such as the Thai cave rescue, Jesus reminds us that if we have faith, miracles can happen. In what area of life do you need to have more faith? How can our combined faith help all of humanity? Share your thoughts in the comments section below. Postscript: In writing this post, I entirely overlooked the symbolism of the numbers: twelve boys...and one coach. Nearly every week I read an article discussing the rise of robots and artificial intelligence. It’s estimated that automation will eliminate millions of jobs, perhaps even to the extent that many fields will no longer exist. Certainly, robots can effectively perform certain tasks that are repetitive, such as placing a camera into a new iPhone, or dangerous, such as delivering explosives to a suspect in a police standoff. But there are some tasks that robots will probably never be able to perform. Self-driving cars are on the rise, and since I dislike driving, I’m all for them. We’re a long way from their widespread use, however. In March of 2018, a pedestrian in Texas was struck and killed by a self-driving Uber car. In an analysis of the tragic incident, John M Simpson, privacy and technology project director with Consumer Watchdog, said, “the robot cars cannot accurately predict human behavior.” Of course, even humans have difficulty accurately predicting human behavior; we often find ourselves utterly perplexed by something another person says or does. But the inability of the robot cars to think the way humans do is a critical weakness and one not likely to be overcome anytime soon. Driving is not purely a mechanical activity; it is an extremely social one. When we drive, we interact with other drivers and with pedestrians. These interactions require social thinking: anticipating the needs or desires of other drivers and pedestrians and predicting what they might do. This is where the robot cars fall short. Our ability to interpret and, by extension, predict the behavior of others is linked to the concept of Theory of Mind, which states that, as humans, we can imagine the thought of another even if we are holding a different thought in our own mind. In the case of the driver, we see a pedestrian walking in one direction but looking in another. The human eye might follow the gaze of the pedestrian and think, “Oh, she’s looking at the coffee shop sign. Although she’s heading in one direction, she may very quickly turn in another direction so she can go towards the coffee shop.” The robot does not experience Theory of Mind and, therefore, is limited in its ability to interpret the human behavior and speculate as to what the pedestrian might do. Some researchers are hard at work at looking how to solve this issue in the programming of the robots. Social thinking is critical to understanding not only the thoughts of others, but also their feelings. In many fields, social thinking is essential. I work for an organization that provides behavioral health therapy services to children and adolescents. Recently, I talked with the company founder, a psychologist, about the importance of empathy in human interaction. It’s clear that, to be effective, therapists must show empathy for their clients. 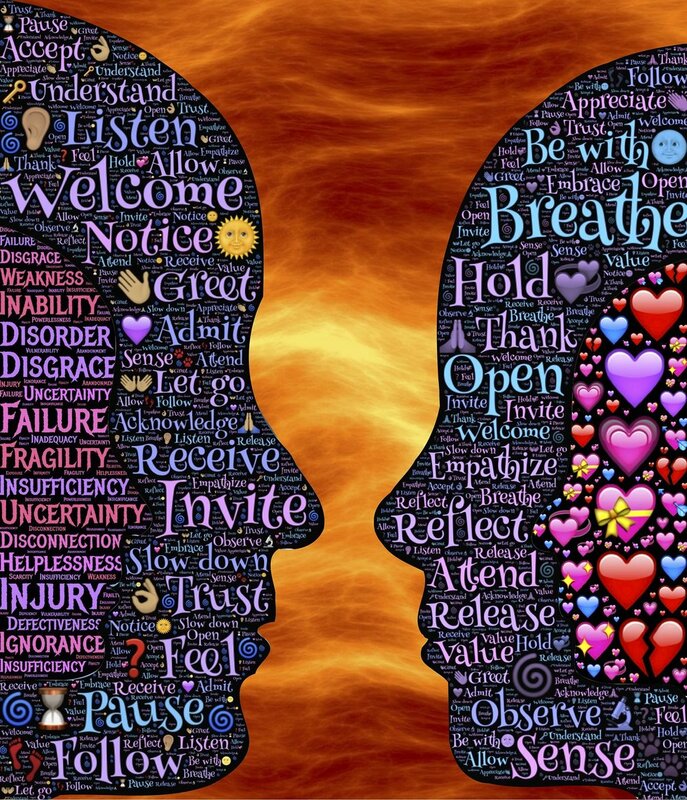 The concepts of empathy and Theory of Mind are closely connected, although they may involve different parts of the brain. In a recent article in the print edition of Smithsonian, Thomas Dietterich, professor emeritus of computer science at Oregon State University said, “If a computer tells you, ‘I know how you feel,’ it’s lying. It cannot have the same experiences that humans have and it is those experiences that ground our understanding of what it is like to be human.” A robot therapist will never be able to empathize with a human over the death of parent because a robot has not experienced being born to human parents. A robot therapist cannot empathize with a teenage client because the robot has never had the experience of being a child. A robot therapist cannot relate to the pain of experiencing physical, emotional, or sexual abuse. Not having had those human experiences, the robot lacks the autobiographical memory which some researchers believe is critical to simulating the emotions of others. Of course, the field of AI is in its infancy, and we may yet be able to program robots to anticipate some aspects of our behavior. The development of affective computing means that some AIs may be programmed to respond to human emotion or even to have their own feelings. Research has shown that many children, especially younger ones, are open to the idea of the use of robots. The robots will likely be limited, however in their capacity; they may be able to coach us on the techniques of hitting a tennis ball but they probably won’t be able to give us a meaningful pep talk on how to recover mentally after a lost match. There’s no doubt that robots are here to stay, and they may perform very useful functions. (I’d love a robot that folds laundry!) A critical aspect of Theory of Mind is the ability to hold multiple perspectives at the same time and switch between those perspectives. Can robots do that? I’m not an expert on artificial intelligence. Will they ever be able to? I don’t know, but until robots are able to develop social thinking skills, AI robots will not be able to serve effectively in fields where these skills are critical for success. And even if in the future, there are competent robot therapists, these robots will never fully develop human social skills simply because the robots aren’t human. As Aristotle’s Law of Identity states, “A is A.” A tree cannot be a cat. A robot cannot be a human being. Even if a robot is granted human rights, it remains a robot and not a human being. How do you think automation will change the world? Share your thoughts in the comments section below. Recently, several of my clients have mentioned that they are struggling with anxiety. A few years ago, I myself suffered from severe anxiety. When it flared up, even total strangers could see that I was agitated. If they saw me saw me riffling through my purse because I thought I had misplaced my keys, they would ask, “Are you all right?” The anxiety was debilitating, even paralyzing, at times. Many factors can contribute to anxiety, and biochemical imbalances frequently play a significant role. In particular, excess copper is often a factor. In my case, following a complete nutritional balancing program over the course of several years has drastically reduced my anxiety. A nutritional balancing program represents a significant commitment, so it may not be for you. Nevertheless, there are simple things you can do to cope with anxiety. Here, I share a few tips, most of which don’t cost anything except a little time and discipline. None involves medication of any kind. Push energy down. Very often, when we have anxiety, there is too much energy circulating in our heads. Fortunately, we can move this energy, and we want to move it downwards. Here’s a simple exercise that you can do. Think about pushing energy down out of your head. Imagine that you are under a waterfall or very powerful shower and feel the energy going down. Or imagine that there's a powerful vacuum under your feet pulling the energy down through your body. You can do this while you are sitting, lying, or standing. Move the energy in one direction only: down. If you feel the energy trying to move upwards, push it back down. This may take a little practice. Over time, you may find that you look forward to this exercise and that it brings you comfort. I have even used this effectively while sitting nervously in the chair at the dentist’s office; I focused on pushing energy down towards my feet and I felt my body relax. This is also a very good exercise to do if you can’t fall asleep or if you wake up feeling worried in the middle of the night. (For a more in-depth explanation of this exercise, click here). On a related note, ground yourself. If you can, walk barefoot outside. If walking is not an option because the terrain is too rough, simply sit down, take off your shoes, and let the soles of your feet touch the ground. Feel the connection between your feet and the earth. You can listen to some soothing music in your iPod or tune in to the sounds of nature. Try some Paramin. Mineral imbalances may also affect our mental and emotional state. This powerful calcium-magnesium supplement, available from Analytical Research Labs, is extremely effective, and many people feel positive effects within 20 minutes of taking the supplement. Even if you’re not following a complete nutritional balancing program, taking some Paramin may be very beneficial for you. Take a shower. I live in a desert climate, with an average annual rainfall of less than 10 inches, so I don’t advocate wasting water, but I do find that a hot shower can be calming. Perhaps the downward motion of water helps to push the energy down, as I described in point 1 above. Or perhaps the water has the effect of cleansing any negative energies that may be pulling me down. Take a break from social media, which can provoke anxiety in some people. I know we all love Facebook and it can contain some really interesting and fun posts. But try taking a break from Facebook and Twitter for a few weeks or longer. If you absolutely must use social media to promote your business, set aside a limited amount of time each day or each week to post or share updates or visit groups. To the extent that you can, reduce exposure to EMFs. These disrupt the balance of minerals in the cells.Turn off your wi-fi router at night, and set your phone to airplane mode whenever you can. When you must talk on the phone, use a headset or use the speaker setting. Keep your bedroom free of electrical devices. Avoiding EMFs will almost certainly have a calming effect on you. Anxiety can be frightening and debilitating, but there are ways to manage it without having to resort to medication. With a little practice you'll be able to tame the wild beast and flow more easily in your life. What helps you to manage anxiety? Share your thoughts in the comments section below. Can You Heal Your Twin Flame? When we meet our twin, our deepest wounds come up to the surface to be healed. We are eager to resolve these issues so that we can come together more fully with our twin. There are dozens of articles and videos on the subject of healing your twin flame. Some twin flame teachers are adamant that you cannot heal your twin, that she must heal herself and your role is simply to stand by or perhaps even step back. Other teachers, focusing on the shared energy body between twins, advocate sending healing to the twin who is struggling with a wound or a trigger. With these conflicting teachings, you may wonder if there’s any point in sending healing to your twin. Can you heal your twin? The answer is yes and no. All healing, whether physical or emotional, comes from within. It is always the patient who is healing himself. Even when doctors administer medication, it’s not the doctors who are performing the healing. The patient’s body accepts the medication and, through a process that is not conscious, brings the body back into equilibrium. The doctor merely facilitates the process. But wait, didn’t Jesus heal people? The Bible describes many miracles performed by Jesus. One of my favorite stories, however, concerns the woman who was healed from a long malady simply by touching Jesus’ cloak. I may be venturing into heresy here, but in this story, Jesus simply enabled the healing. It was the woman’s own faith that made her well. Jesus himself says, “Daughter, your faith has made you well.” Luke 8:48. So if the patient is the one responsible for healing herself, what is your role? If a relative is in the hospital, you don’t say, “Well, you’d better hurry up and get out of there!” or “I’m not going to have anything to do with you until you’re feeling better!” or “What’s wrong with you? Why aren’t you healed yet?” Instead, you go to visit your relative. Perhaps you bring flowers or reading material. You sit by your relative’s bedside and hold her hand along the way. You may even bring chicken soup. In this way, you are supporting and enabling the patient’s healing from within. If all healing comes from within, your twin must lead the healing effort. That does not mean your only option is to stand idly by. Think of your twin as a sick friend or relative who needs your support. By all means, if it feels right, help your twin by sending or bringing “medicine” to speed the healing. Just as with conventional medicine, sometimes multiple doses may be required. And be sure that you are standing by your twin’s bedside and holding her hand. Even if you are in separation and totally out of contact, you can send her virtual moral support. Of course, any healing you perform on yourself will energetically help your twin, too. Along this journey, it’s very important to follow your inner compass, so support your twin in the way that feels right for YOU. How have you helped your twin to heal? Share your thoughts in the comments section below. It was fall 2012, and I was making my final preparations to leave Canada for a yearlong sabbatical in the Caribbean. There were household goods to pack up, services to cancel, and of course, farewells to say. A particularly tough goodbye took place in a downtown Toronto medical office. Shelley was not only my naturopath, but also my cranial osteopath and acupuncturist. With her wide range of skills, she combined multiple modalities into a unique approach to treatment. But Shelley was more than a one-stop shop for natural healing. In the several years that I had known her, she had become a very close friend, someone to whom I confided my most private thoughts. I had spent many a chilly Canadian weekend afternoon in her cozy office, where I shared with her frustrations and challenges in my work and private life. When I visited Canada at Christmas and again the following summer, Shelley was at the top of my “must-see” list; she and I easily picked up where we had left off months before. After I left the Caribbean and moved back to the US, we occasionally exchanged emails. Shelley was the person I’d reach out to if I had some deep soul issue I felt most people couldn’t understand. A few months ago, on a Saturday afternoon, I googled Shelley. I don’t know what prompted me to do this. I was stunned to see the word “obituary” after her name. I don’t think she was more than 60 at the very most. The obituary gave few details; she had passed away about three months before, apparently after a brief illness. My heart sank. Although it had been more than a year since our last email exchange, I thought of her often and had planned to visit her on my next trip to Toronto, although I had no idea when that would be. I cried for a good part of that day and into the next several days. I wished I had emailed Shelley one more time. I wished I had gone to Toronto for one last visit. I wished I had known she was ill so that I could say goodbye. I wished I had taught her how to use Skype. In the months since then, I’ve thought of Shelley nearly every day. I wish I could call her up or email her with a question about health or to share some confidence. There’s a part of me that’s somehow in denial, thinking that she’s not really gone and that I’ll met up with her during my next trip to Toronto. My experience is not unique, of course. When we lose someone close to us, we are once again reminded of the fact that none of us knows how many days we have on this earth. We often feel regret for not having kept in touch. Sometimes, the death of a relative, friend, or even an acquaintance, jolts us into reflection and into making changes in our lives. In my case, Shelley’s death made me think long and hard about how to keep in touch with friends who are in distant locations. In my adult life, I’ve moved about every two years. It seems as if I am always saying goodbye to friends and vowing to stay connected. I can’t help wondering if it’s harder now to maintain closeness than it used to be. In my efforts to feng shui my home in recent months, I have been clearing out old papers. Lately, I’ve been working through a large box of letters from friends and family. Most of them date to my time as a high school and college student. I read each letter before it heads for the recycle bin. Some of the letters are about mundane issues; those are easy to toss. But others have been more difficult—even impossible—to throw away. They are filled with such loving and sweet words, the kind people don’t seem to express through text messages, emails or Facebook Messenger. These days, we have more ways of keeping in touch with one another than ever before: letters, email, phone calls, text messages, Facebook, FaceTime, Skype, and more. Yet, somehow we struggle to connect at times. We’re caught up in our jobs (many employers expect us to be available 24/7), in juggling our busy schedules, in raising families. Women, especially, often feel they hardly have a moment to themselves. Communication can be superficial, brief, and hasty. We put off catching up with friends until it’s too late. When that time comes, we feel the searing pain of regret. It seems as if it ought to be easier to keep in touch and to be closer than ever. But with all of the communication tools that we have nowadays, we are challenged to connect, and we still face brutal reminders that our time with our loved ones is limited. We can’t go back, of course, and I doubt I’ll ever pen letters the way I used to. But I wonder if we can find a way to make better use of the multitude of tools available to us. While we still have time. What can you do to foster connection with your loved ones, especially people who are far away? Share your thoughts in the comments section below. Numerous articles have been written about the negative effects of social media on modern society. Some authors argue that, instead of bringing people together, social media serves to create ideological silos. From the safety of our homes, we can tuck ourselves into online communities of people with similar views on politics, religion, or almost any subject. This can bring comfort, especially in turbulent times. And when our views are outside of the mainstream, it can be reassuring to talk to like-minded people. (On an average day, how many people do you meet who believe that cholesterol and saturated fat are good for you?) But the dangers of communicating primarily with people who think the way we do can be far-reaching. In his 1995 book, On Killing, Lieutenant Colonel Dave Grossman discusses the psychological factors affecting the ability of soldiers to kill enemy combatants. Grossman, a psychologist and U.S. Army Ranger, states that the most difficult way to kill another person is in hand-to-hand combat. He cites evidence that suggests that during the Civil War, some soldiers would aim in such a way that their shots would deliberately miss the enemy fighters, or would engage in "mock firing," where they would load their weapons and simply pretend to fire. It would appear that many soldiers behaved similarly in World War II. Grossman argues that the increasing use of technology in military operations has made it easier for soldiers to kill. The technology creates not only a physical distance from the enemy but a psychological one as well. I believe that we are witnessing a similar phenomenon of psychological distancing in human communication. In recent decades, the United States has become increasingly polarized. The results of the 2016 presidential election—and the response following it—testify to that disconnect. Part of the reason for the increasing polarization of American society is the fact that people engage less and less with others of differing opinions. More and more, people communicate electronically and through social media. Social media is, in itself, isolating and creates silos. On Facebook, people “unfriend” others who express views that they don’t like. In addition, I would argue that the distance created by technology makes it much easier to communicate in a rude way with others. Online, people hurl insults that would probably be much more difficult to express in a face-to-face conversation with a person of a differing opinion. This behavior manifests itself not only on Facebook but also in other online discussions such as the comments section on newspaper articles or under YouTube videos. Twitter is even more problematic, for various reasons. The character limit does not allow for much range of expression, and at times, the reader can’t be sure it’s a real person who is writing, or merely a bot. Of course, there can be thought-provoking discussions in online forums but, more often than not, one must sift through a mass of insults and rude and unproductive comments. This breakdown in civil discourse represents a major danger to the future of the United States. The republic has endured for 230 years because of the ability of people of differing opinions to communicate and reach compromise. Now, instead of seeing the party on the other end as a human being, we are inclined see something amorphous, to be neutralized, unfriended, or blocked. It is difficult to compromise if you are unable even to have a reasonable—if heated—conversation with someone who holds an opposing viewpoint. In a previous post, I suggested not unfriending people on Facebook. Since that time, my thinking has evolved on this subject. While it is certainly possible to have a reasoned discussion on Facebook or via other electronic medium, this requires that both parties focus on logic, facts, and clear expression. More often than not, when we communicate electronically, we are tempted to express our visceral reactions. We don't have the benefit of facial expressions, body language, or tone of voice, and our words can be misconstrued. Things can become so unpleasant that we end up regretting having jumped into the fray and want to close ourselves off. To combat this serious issue, I urge people, for the sake of the country and our future, to seek out as many opportunities as possible to talk to others of differing opinions in in face-to-face settings. This may be uncomfortable, but by talking directly to other people, all participants in a discussion will receive the benefit of the full spectrum of human interaction. We may then have a real chance at reaching a better understanding of one another. How can we restore civil discourse to the United States? Share your thoughts in the comments section below. Many Americans are disappointed with the outcome of last week’s US presidential election. People are weeping; maybe you've shed tears. In some places, people have taken to the streets in protest, and a few of those protests have turned violent. Many leaders and citizens of foreign countries are uneasy, as the outcome was not what they had expected and the sands may be shifting. It might seem as if the world has gone crazy. In a recent video, Edward Snowden said, “If we want to have a better world, we can’t hope for an Obama, and we should not fear a Donald Trump. Rather, we should build it ourselves.” In the context of the statement, Snowden was referring to Obama’s campaign promise (later broken) to end mass surveillance. Many people think Snowden is a traitor. Maybe you’re among those people. Even if you think Snowden ought to be executed, put that thought aside for a moment and listen to the message. It’s powerful. If you are disappointed with the results of the recent election, don’t give away your power to politicians or anyone else. A free and just society is in the hands of everyone. You are not a victim, and you have a chance to act now. Don’t catastrophize. When something bad or unexpected happens, it’s easy to assume the worst. I myself am an expert at imagining everything that could possibly go wrong in a given situation. Avoid lapsing into all-or-nothing thinking. Look for opportunities. As Tony Robbins would say, ask yourself, “What is good about this problem?” If you think hard enough, you can find that every problem presents an opportunity: for learning, reflection, or action. Set your priorities. Write down the 2-3 issues that are most important to you and consider which suggestions from this list will help support you in addressing those issues. Write to Congress. Do you know who your Senators and Representatives are? Email them, call them, write to them. Find out when you can meet them. It doesn’t matter if you voted for them or if they represent your party. While you’re at it, pen a letter to President-elect Trump and tell him what issues are important to you. Campaign promises are notorious for being broken, so even if your national or local candidate won, it’s not a bad idea to keep in touch with him or her or her about the issues you care about. This election outcome could really drive civic engagement, if we make the effort to speak up. Volunteer your time or skills to an organization that supports a cause that is important to you. If you don’t have time, donate money. Consider getting involved in politics at the local level. What can you do in your local community to effect change? Talk to the other side. More than ever, we need to keep the lines of communication open. Don’t unfriend people on Facebook; open a discussion with them. Communications experts at Vital Smarts provide some great tips on how to initiate a conversation. Work on your own vibration. Don’t get stuck in a negative spin about an outcome that you didn’t expect or want. Focus on increasing your own vibration and then take one or more of the above actions. Or come up with some other ideas. The world has gone through a massive shift in the last week. If we take a deep breath, however, we can see that there are tremendous opportunities for change, within us and in the world around us. What things can YOU do to build a better world starting right now? Share your thoughts in the comments section.